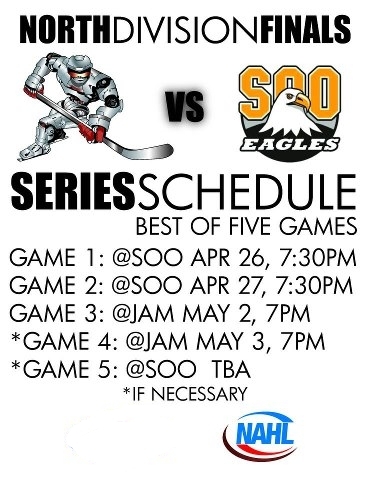 The 2013 North Division winner, and the team that will participate in the 2013 Robertson Cup Tournament will either be the Soo Eagles or the Jamestown Ironmen. So how did they get there? Both teams had byes in the first round, so it made things a little bit easier. Soo was able to sweep the Port Huron Fighting Falcons. As a Tomahawks' fan, when you heard the news you thought to yourself "Why couldn't we have won. I'm sure we would have done better than Port Huron." You can have that debate all day if you want, but it doesn't matter. 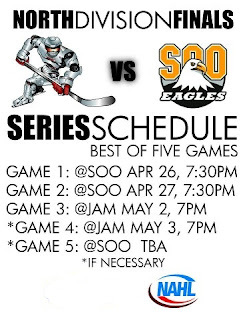 In the best-of-five series, the Soo Eagles swept Port Huron, three games to none. A blind man could tell you that Soo's magical number for that series was four, as they scored four goals a game, and held Port Huron to a total of four goals, in three games. Soo spread the wealth when it came to scoring, as 15 of the 21 players that played at least one game in the series had at least one point. Soo's goalie, Tyler Marble, picked up where he left off in the regular season, playing in all three games and getting all three wins. .He also has a playoff save percentage of, .959. Michael Lant leads Soo in +/- with a +6 in the playoffs so far. Soo's leading goal scorer is Kyle Loridon. In three games he has three points, one goal and two assists. Loridon played in 48 games this season with Soo, scoring a total of 12 points. This is why you've got to love the game of hockey, you never know what player is going to lead the team in the playoffs. 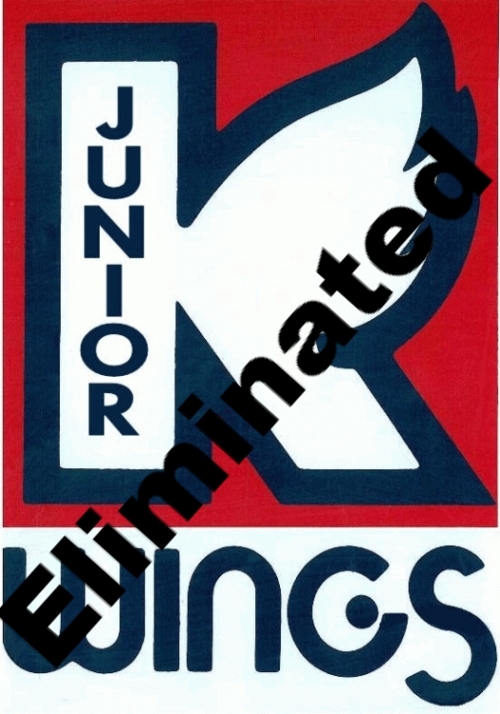 Jamestown following Soo's lead, and not wanting to be outdone, swept their series vs the Kalamazoo Jr. K-Wings. 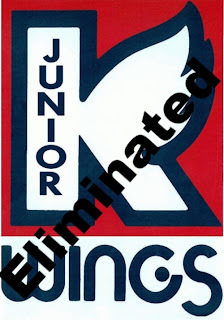 The K-Wings were on their NAHL farewell tour, but it didn't last as long as they'd hope. After beating Springfield, in a one sided best-of-three contest, they found themselves on the wrong end vs Jamestown. As the series went on, either Kalamazoo got better or Jamestown got worse. 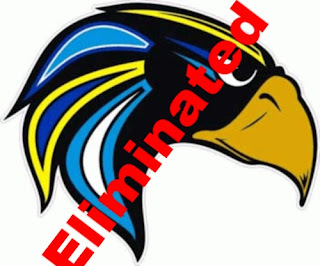 Maybe if it was a best-of-seven the K-Wings could have came back. Jamestown's arena holds 1,500 (i think) so they had a pretty good first two games in attendance. Jamestown is a little bigger than Johnstown and you'd think in the years to come they should be able to fill that arena most nights, hopefully they can. As for Kalamazoo, if you didn't understand why the team was folding at the end of the season, you now see exactly why with that horrible attendance number. The city does have an ECHL team, the Kalamazoo K-Wings, so I'm sure the city's not too upset they're losing the NAHL team. There's a few Kalamazoo players I wouldn't mind having on the Tomahawks' next season. Ross Pavek didn't play in this series for the Ironmen due to his fight that happened against Johnstown in the last game of the season. Pavek was Jamestown's 6th leading goal scoring during the season. You'd think Jamestown only gets better when he gets back into the line up. Nicholas Sierra leads the Ironmen so far in the playoffs with five points in three games (one goal, four assists). Tough guy Tyler Minx is tied for the team lead in +/- with a +5 rating. So far this playoff season (in the north division) there have been no upsets. Soo, seed number 1, Jamestown, seed number 2, will battle to head to Frisco, TX to have a chance to win the Robertson Cup Championship. If I had to pick a winner, I'd have to say Soo Eagles win the series in four games. Soo is a very good team, but they've also got one of the best goalies in the league, and I think that's going to put them over the edge. Out in the west, Fresno and Wenatchee are going to play in a final game five. Fresno only made the playoffs because their division had just four teams. If Fresno wins...just wow.